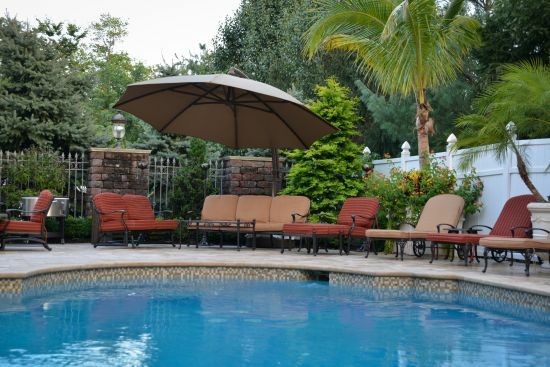 The islands meet NJ with this custom inground swimming pool and spa. 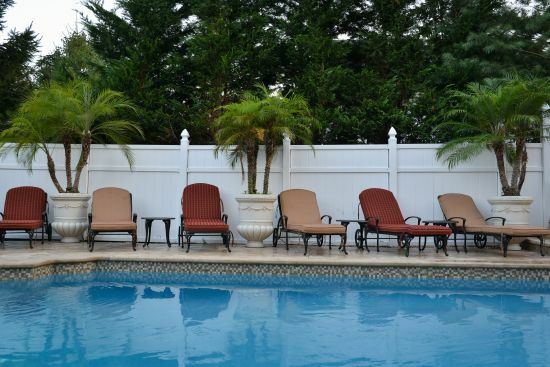 With ample patio space and seating and Tropicals all around, this property instantly transports you to the Caribbean. 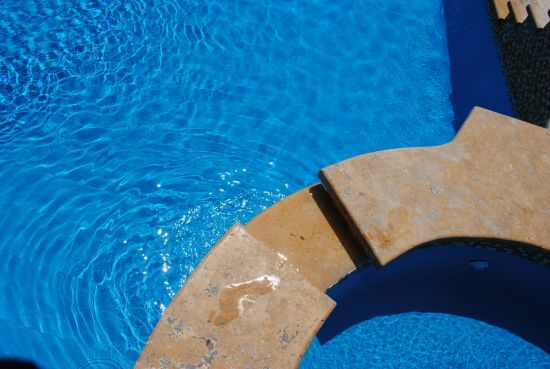 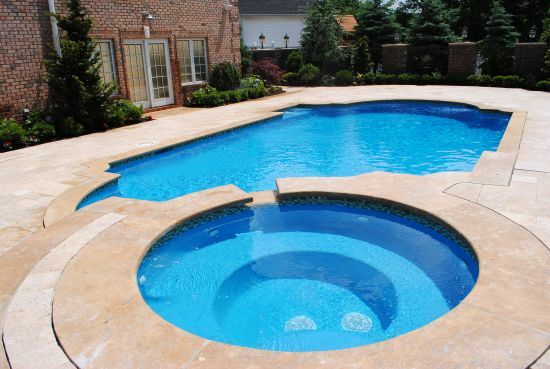 Tranquility Pools created a inground pool design that emulates a resort type feel. 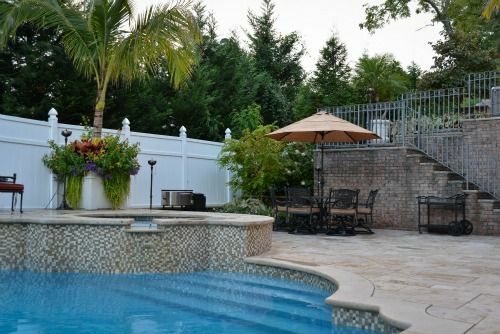 The addition of palm trees around a raised spa provides a privacy screening, as well as a tropical setting right in New Jersey. 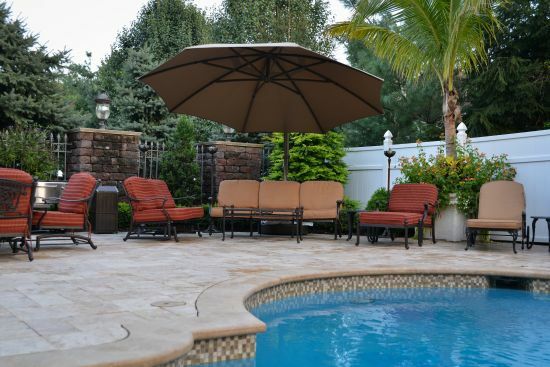 The large patio provides plenty of space for outdoor entertaining and lounging with guests.